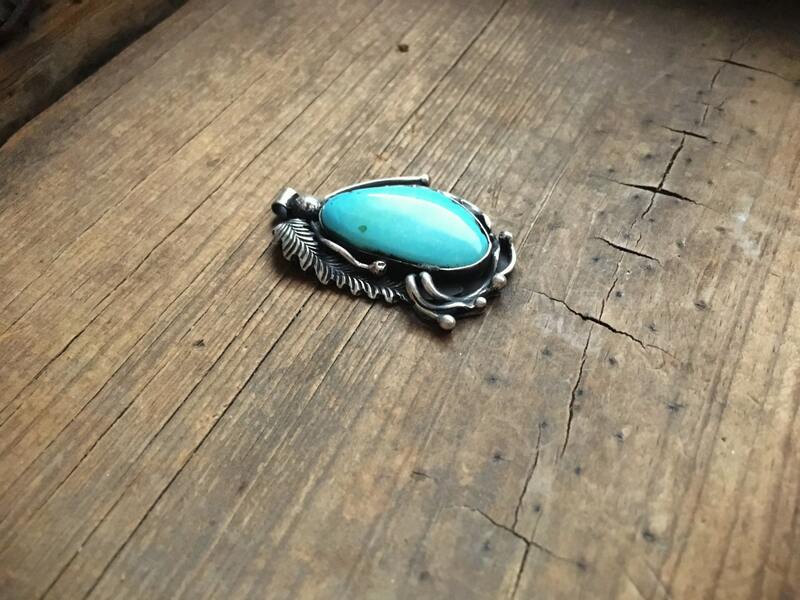 Here we have a stunning cabochon of natural turquoise set in a traditional silver design that creates a sort of "shadowbox" effect. The turquoise is a creamy blue with an almost caramel hue and black matrix on the sides, likely from the Blue Gem mine. 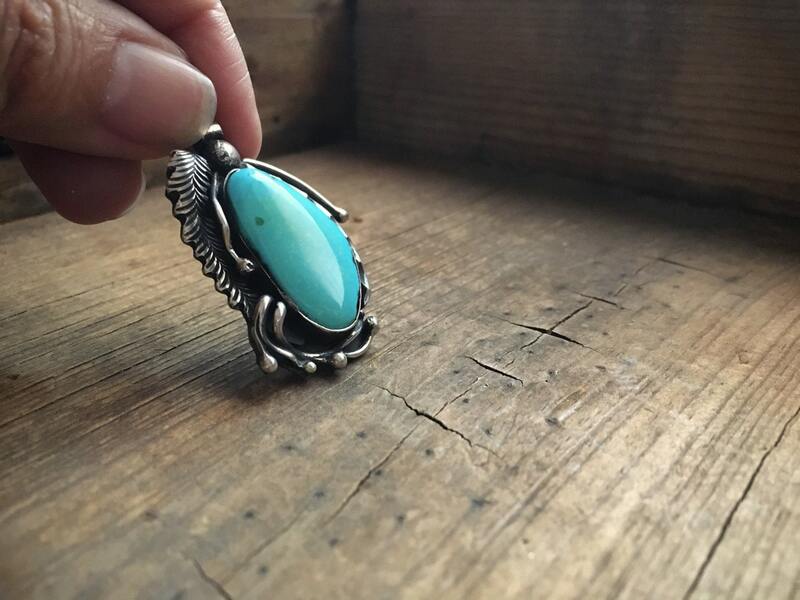 Shadowbox is a traditional form used in Native American jewelry-making, whereby the sterling silver is built up around an oxidized background, the gemstone showcased in the center. This artist uses a similar device yet uses elements from nature--leaves and pistons--to create the "frame." Because this is not signed by the artist, we cannot say with certainty that it's Native American; hence, we call it Southwestern or Native American inspired. 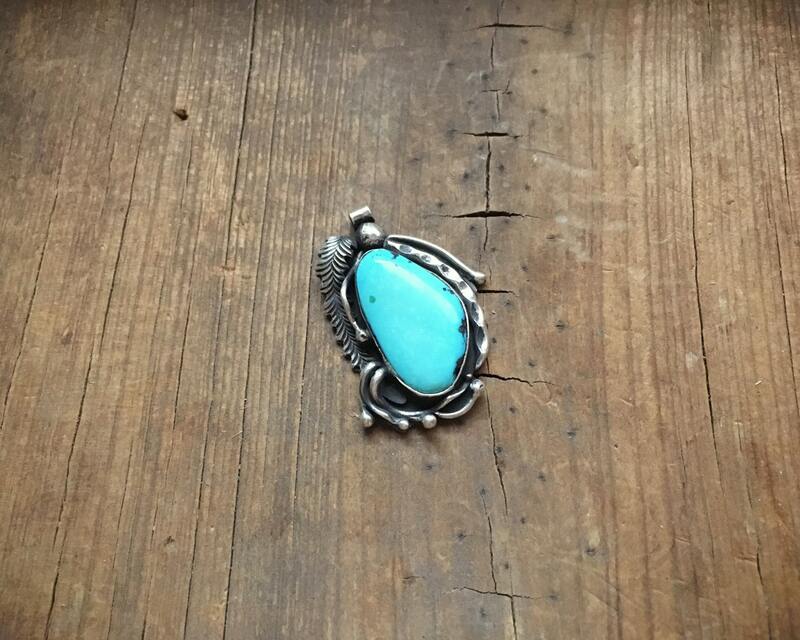 The pendant measures about 1" across by 1-1/2" long including the eye hook, and the turquoise cabochon is about 5/8" wide at the widest point by about 1" long. In great vintage condition. 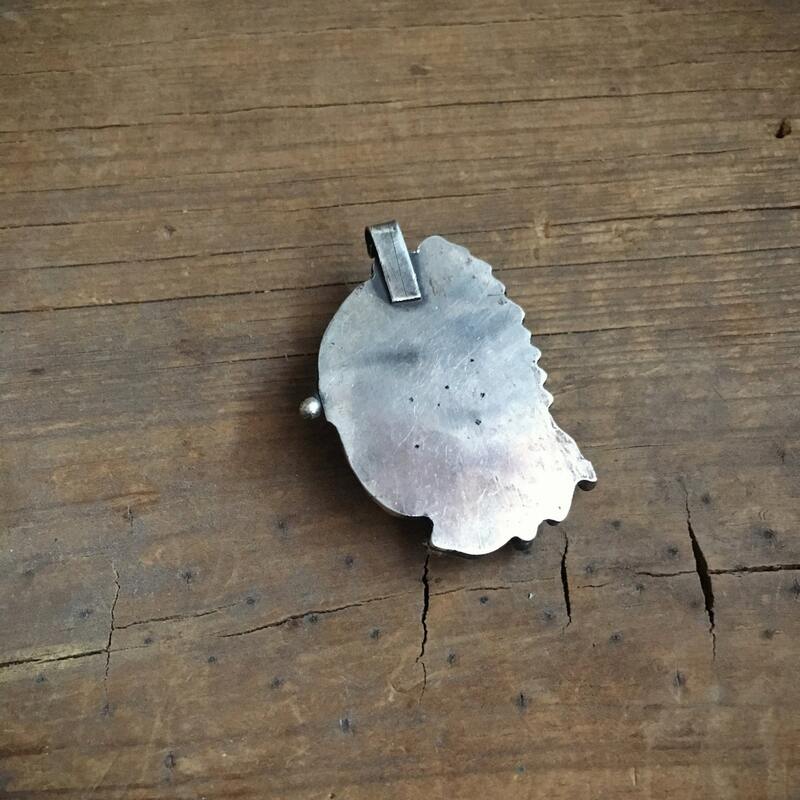 Chain is not included, and just note that the bail opening is only about 1/8" in diameter, so take care to not use a chain with large, bulky findings that will be too big for the opening. 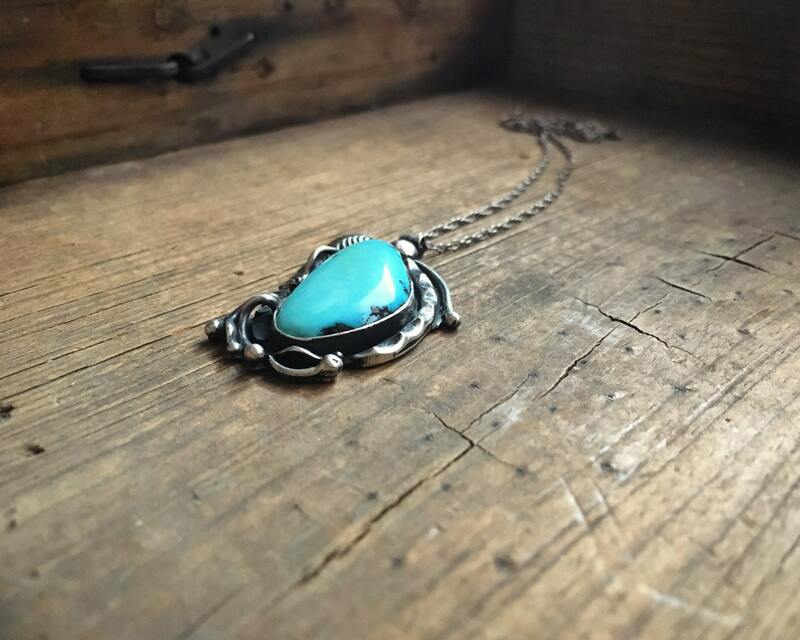 A gorgeous pendant built to highlight a gorgeous piece of turquoise.